H1Z1 is a zombie-apocalypse MMO that puts you in a world that requires the player to somehow manage to survive against all odds. As of right now the game is being created for PC, but plans for a PS4 version are apparently in the works as well. It will be powered by SOE's MMO engine, Forgelight, that the dev team says can support up to 2,000 players on a single server. A number of the current team members have previously worked on the other popular SOE game PlanetSide 2. It is obvious they want to create a massive world in which survivors will need to not only fend off zombies, but to also find ways in which to defend themselves from other survivors or create allies in ways to help extend resources and thus extending their characters life in-game. The first thing the developers have been quick to point out is that they have only supposedly been working on this since January, 2014. Even though it is an early build, they have already said Steam early access will begin sometime in May. It is obvious they have the players feedback and participation in mind and plan to implement community suggestions along the way. In the debut footage below, you can see they have already began to implement day/night cycles as well as a sneak-peak of their planned extensive crafting system. Also, they show off some vehicular transportation which really magnifies just how massive in scale they want this world to be. 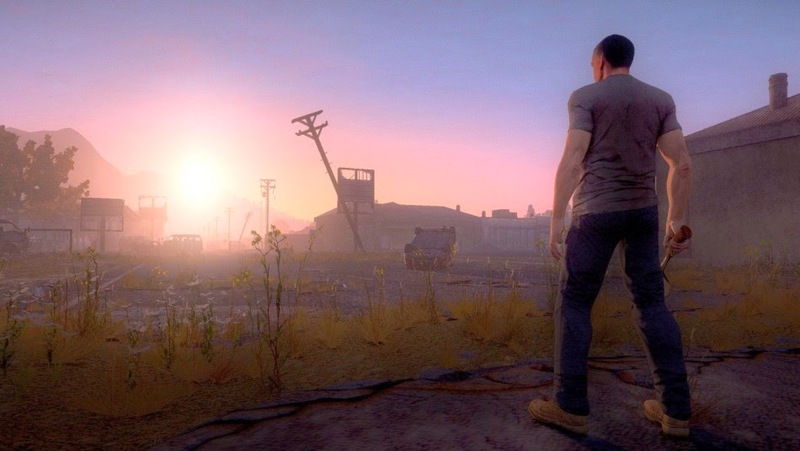 Numerous developers have already shown an immense presence in the subreddit reddit.com/r/H1Z1. They have used this forum as a platform to help not only promote the game, but to answer further questions and concerns in detail. Here is a particular quote from SOE president John Smedley addressing what most people are asking. How is this different from Day Z? His reply, "saw this a lot. Not going to give some politically correct dodgy b.s. answer. It is a survival in a Zombie Apocalypse game. So is Day Z. They have made a brilliant game (first I might add). They have a great vision for it and can count myself and most of the people on our team as fans and contributors. We're making the game we're making. Long term we plan on making this about a persistent world with a big landscape with thousands of players. The way we would like to see this roll out is much more like players building small enclaves or pockets of territory and hold out against a legitimate zombie threat that's ever present while others go it alone taking their chances.. These player built structures, forts and towns are one of the ways the players try to carve out some small space in a dangerous world." The entire team seams to be very mindful of their competition and have a great grasp on what they are envisioning for this game. I for one, cannot wait to see and hear more about this game. I cannot be the only one that has been waiting for a big player to get into the ring with the newly popular survival-apocalypse MMO format. It will be interesting to see how this game progresses because SOE has three major things for sure going for them right now that we all need to pay attention to. Ambition, resources, and experience.